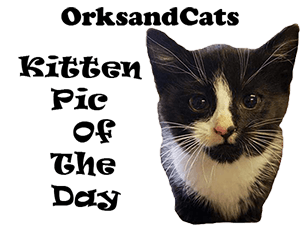 March 15, 2019 by Heather Lee 0 comments on "KPotD #46: Murder Mittens"
As he’s been feeling better, Oscar has started to morph back into Strong Independent Kitten. He’s exploring again, sleeping in different sunbeams, and spending more time doing his own thing. 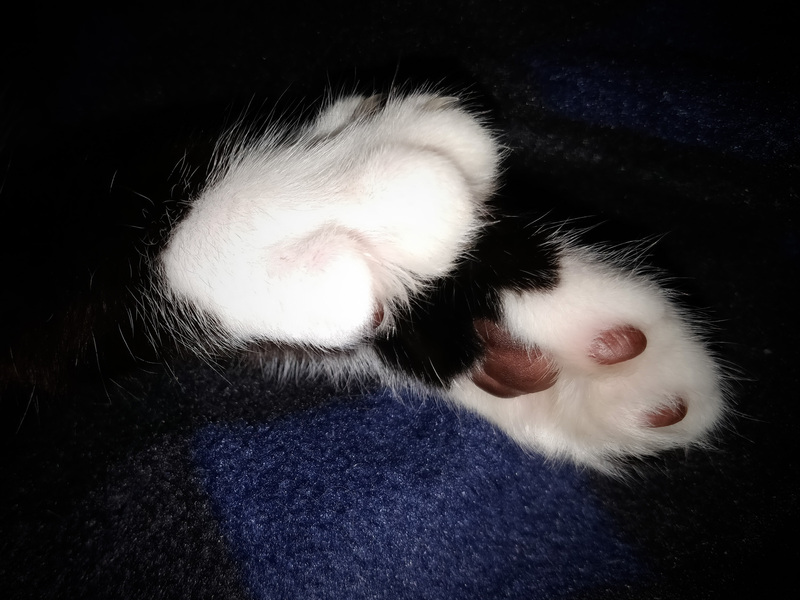 He decided to be a snuggle bug tonight, though, which gave Brian the opportunity to get some excellent pics of the tiny murder mittens. Those beans! Those long toes! Those tiny claws! As you can see, Oscar’s mittens are superior. No cat toy or string will remain safe in this house for the foreseeable future. Doom. Doooooom!